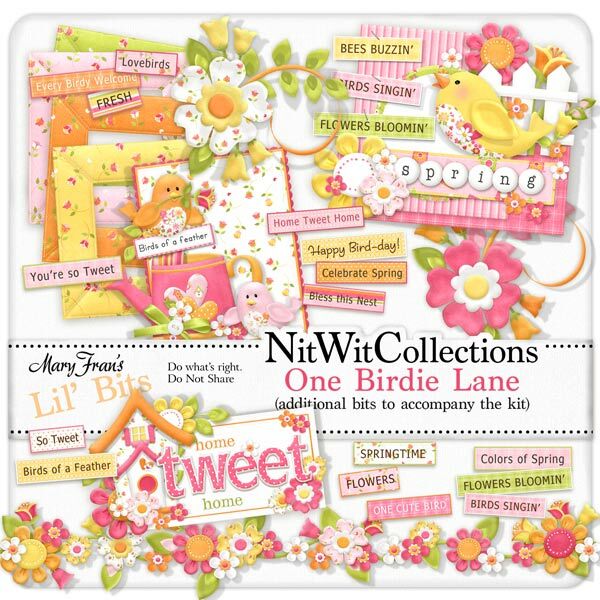 "One Birdie Lane" Lil' Bits has colourful additional elements that will help you to create great layouts and cards with. Elements in the Lil' Bits are NOT included in the "One Birdie Lane" FQB. 1 Wordart - about Spring, it really is just around the corner, honest!